I like telling people how to improve their skin because a simple change in routine can mean reduced or prevented fine lines, wrinkles, eye bags, and dullness. When it comes to makeup, most people don't know how that a teeny, tiny, cheap foundation trick could improve their skin. 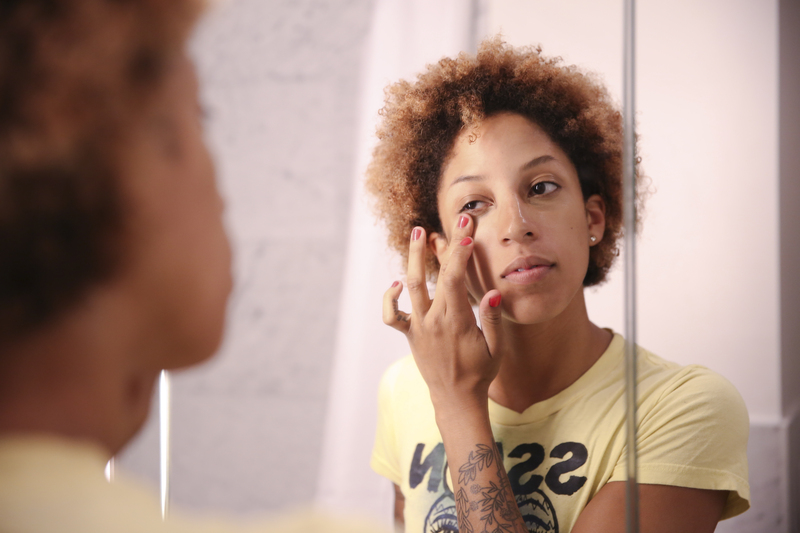 If you're one of those people, prepare to change up your makeup routine. Here's the one beauty hack you need to do in 2016. While foundations exist to conceal imperfections and some can improve your skin, you can mix moisturizer or oil to dramatically improve your foundation and your skin in the long run. Not to mention, mixing your foundation with a moisturizer will sheer it out, resulting in a more natural, dewy finish (which is so popular right now!) instead of dreaded "cake face." According to Wayne Goss, a professional makeup artist and beauty vlogger, this trick changes the texture of your foundation. A little goes a long way, so just adding a tiny drop of moisturizer or serum into your foundation before mixing and applying works wonders. Serum alone contains antioxidants, anti-inflamatories and hydrators. Why not have that in your foundation? There really is no right or wrong way to mix products, it's about whatever your skin needs in the moment. Here are some tips for mixing up products for a better, more hydrated complexion. Wayne Goss loves to mix any type of oil — jojoba, almond, etc — with foundation for a flawless finish. Oils like these are cheap and easy to find, so there are absolutely no excuses to not try. YouTube beauty vblogger Jaclyn Hill uses a single drop of serum mixed with her foundation to create a dewy look. For naturally dry skin, or combination skin experiencing dryness thanks to winter weather, this is a lifesaver. Mixing moisturizer really does work! If it hasn't worked for you in the past, consider applying this technique for mixing your foundation and moisturizer: Mix what is alike. For example, if you use a water-based foundation, also use a water-based moisturizer.